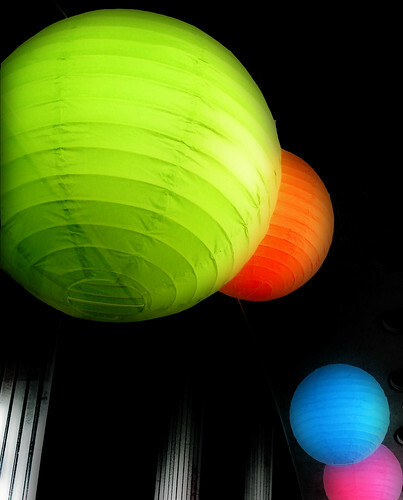 Paper lanterns come in various shapes and sizes and have become the most popular DIY décor idea, of late. They are used to light up apartments, homes, as well as used as Wedding decorations. Once can use plain copier paper, rice paper, paper doilies or any other translucent decorative paper of their choice. These lanterns are most popular in China, Japan, and other South East Asian countries where they are used during the Lantern Festival as well as in traditional places. Andon: – This is a lamp which was constructed by stretching paper over a bamboo, metal or wooden frame. Inside this, was a stone or ceramic holder with a cotton wick, which was lit (to light the lamp). Bonbori: – This type of a Japanese lantern was also constructed with paper stretched over a frame and was therefore similar to the Andon, but was smaller, portable as well as has a six-sided cross section. Chōchin: – This type of a lantern consisted of a split bamboo frame twisted in the form of a spiral. As an option to paper, silk was also used to cover the frame and protect the flame from the wind. This was mostly used as a hanging lantern and could be collapsed to flatten it. Tōrō: – These are lanterns, which adorned the grounds of Buddhist temples, Shinto Shrines, Japanese Gardens, and other traditional places. These lanterns did not use paper or silk, but instead were made of stone, bronze, iron, or wood. In, today’s DIY section, you can create your own paper lanterns. I have collated instructions from the Internet to 3 distinct type of paper lanterns (giving credit to the original contributors, of course) and I am hoping that you will enjoy folding these! Design your rice paper lantern. You will need to decide on the number and size of your bamboo rungs. Spend time looking at different examples of rice paper lanterns for inspiration. Obtain your bamboo strips according to your design. Cut them to the desired length of your lantern’s circumference. Bend each piece of wood into a circle, attaching each end together with masking tape. To soften the wood for bending, heat it over a flame. Once bent and taped to your satisfaction, place the bamboo rings in cold water so that the new shape is made firm. 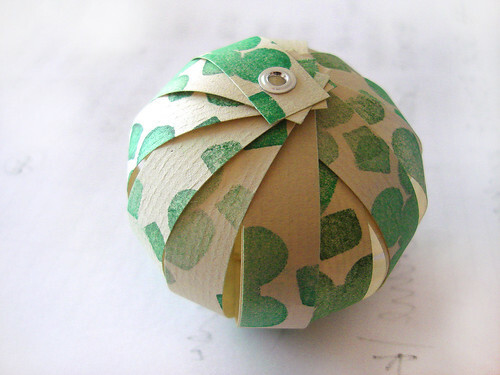 Attach your bamboo circles to each other using either tape or string according to your design. The smaller loops are almost always placed on top and bottom. Attach a socket and bulb to the top rung using tape, with the socket hanging upside down. You can either run a line from the top of the lantern or use a battery-powered socket. Attach your tassel to the small bottom rung of your lantern. Cut out a piece of rice paper about an inch wider than the lantern’s circumference and slightly longer than the length of the lantern’s height. Wrap it around the lantern and attach both ends of the paper with a glue stick on the back side. Fold the excess over the top and bottom of the lantern frame and attach to the top and bottom rings with glue stick. Tighten the rice paper over the frame by lightly spraying a mist of water onto the paper’s surface and waiting for it to dry. Hang your rice paper lantern. Hang a cord from the top bamboo rung. You can decorate your paper lanterns with tissue paper polka dots with the help of instructions from The Swell Life. You can also cut out other shapes or patterns for your lantern using this idea. These lanterns are non-traditional and can be made with strips of paper or card stock. You will be able to get a good selection of wrapping paper as well as cardstock now that the holiday season is nearing. These DIY Instructions can be found at The Creative Place. These lanterns are pretty simple and will remind you of school art projects. Again, you can use decorative paper, construction paper or wrapping paper for these lanterns. I have also seen some lanterns in which paper doilies (the rectangular) shaped ones are used.